© nick horton. All rights reserved. 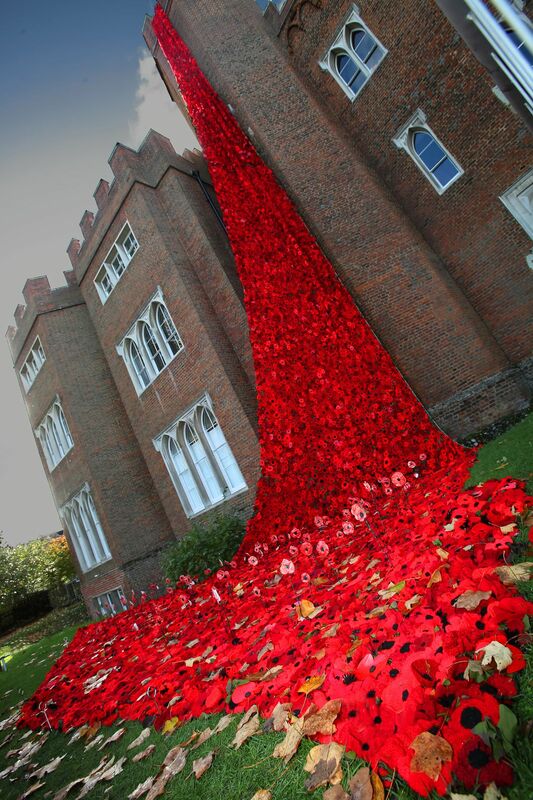 ore than 15,000 poppies will cascade down Hertford Castle to mark the centenary of the end of World War One. The poppies have been knitted and crocheted by The Secret Society of Hertford Crafters, as well as school children, people in care homes and other local volunteers. More than 170 miles (270km) of wool has been used to create the installation ahead of Remembrance Sunday. Date Uploaded: Oct. 29, 2018, 1:38 p.m.